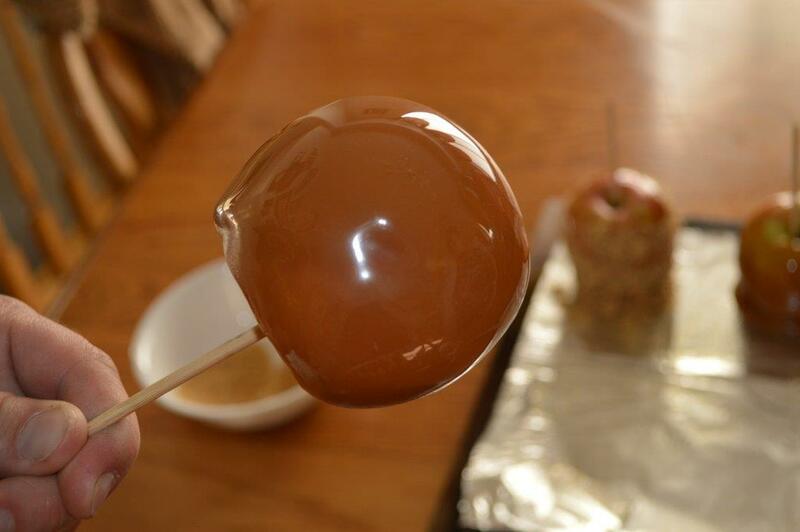 Are you looking for SUCCESSFUL and Easy Caramel Apples? 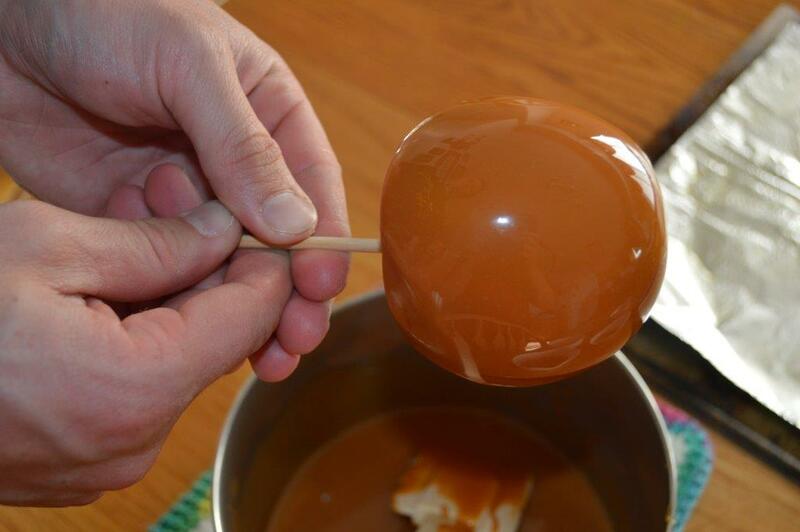 I have struggled with making caramel apples for years, actually decades. I don’t like to bite into one and have the caramel peeling off, finding it is thick and hard. And I don’t like it when the caramel runs off the apple either. I want a nice layer of soft, yummy caramel covering the apple. 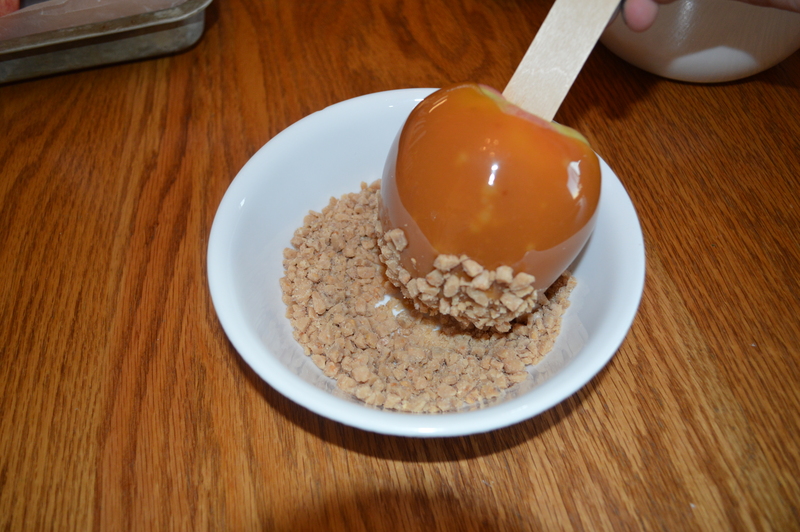 If that is how you like your caramel apple, then you are going to love this! 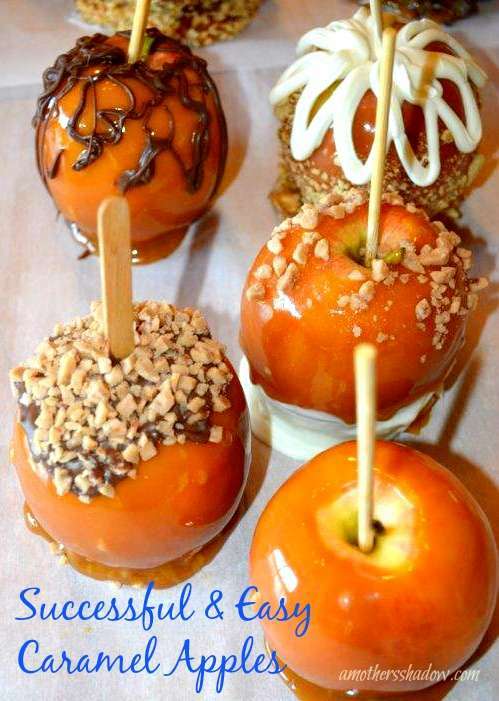 I’ll show you how you can make SUCCESSFUL and Easy Caramel Apples that taste and look amazing. crushed graham crackers, chopped nuts such as peanuts, small candies, chocolate chips or buttons: white, milk and dark if desired. PREPARE AHEAD and please read entire recipe before beginning for best results. 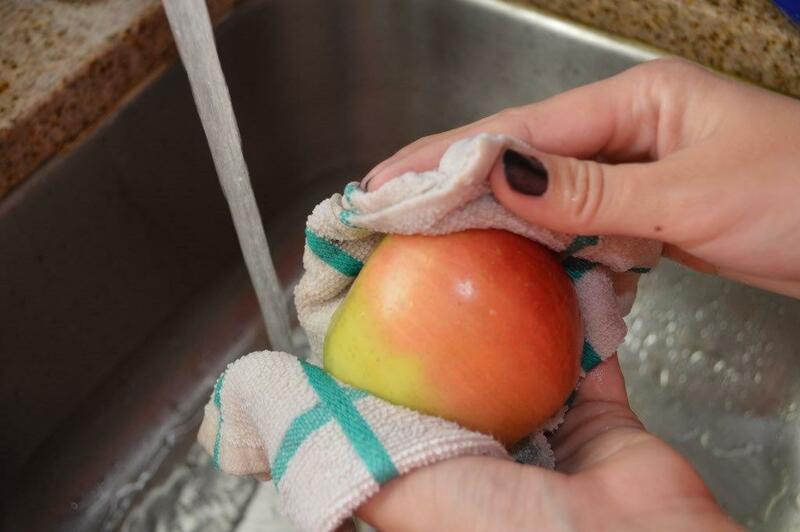 Wash your apples, rubbing them with a clean cloth to get off the waxy residue. This is VERY IMPORTANT!Push the sticks into your apples, place in a cake pan or flat bottomed container and put in the freezer for 30 minutes. Because the cold apple helps the caramel coat perfectly and set up since the apple will be cold and the caramel will be warm. Now, when the apples are nice and cold (not longer then 30-40 minutes though or you will have frozen apple pops!) line a cookie sheet, pan or plate large enough to hold the apples with tin foil and coat well with non-stick cooking spray; set aside. 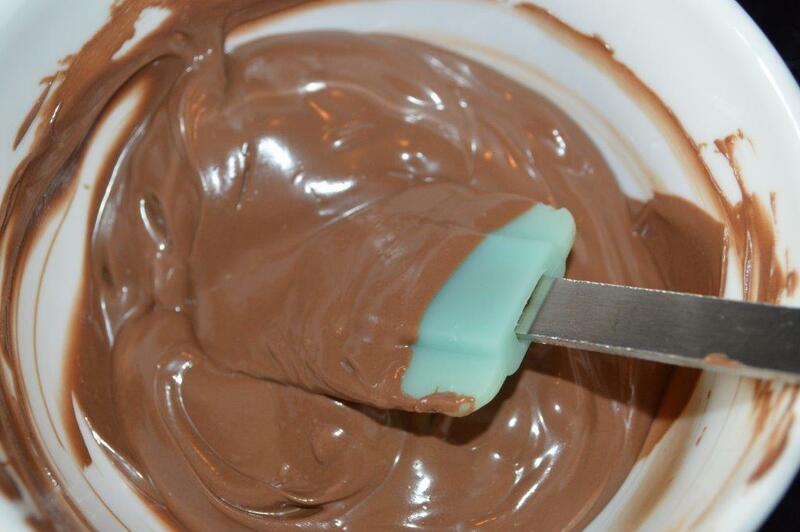 This will prevent the caramel from sticking so you can lift it to dip in chocolate or to eat. When the apples have been in the freezer for approximately 30 minutes (remember not longer), begin making the caramel coating. Unwrap the caramels and place in a saucepan. Add in the water and vanilla. 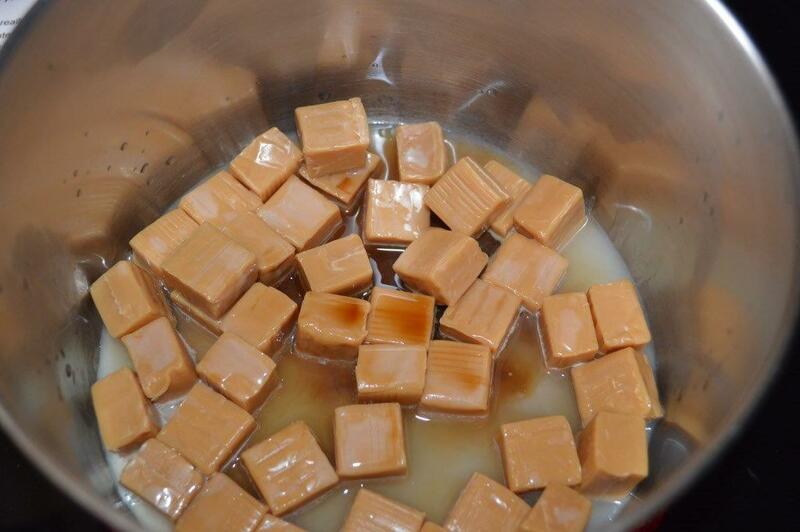 Over medium heat, stir constantly until the caramels are completely melted. 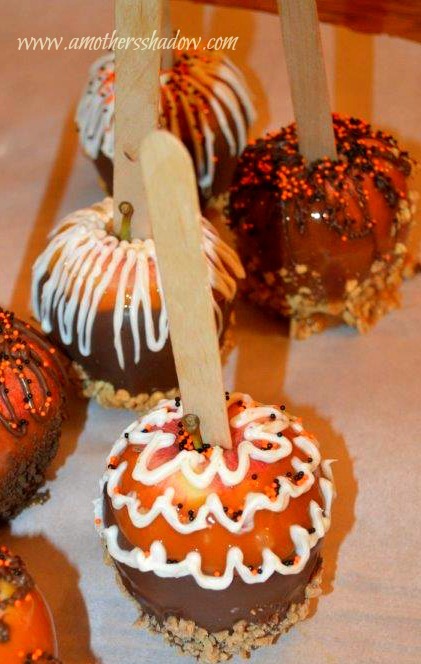 Taking one apple at a time, roll it in the melted caramel sauce, using a spoon or spatula to help cover the apple. 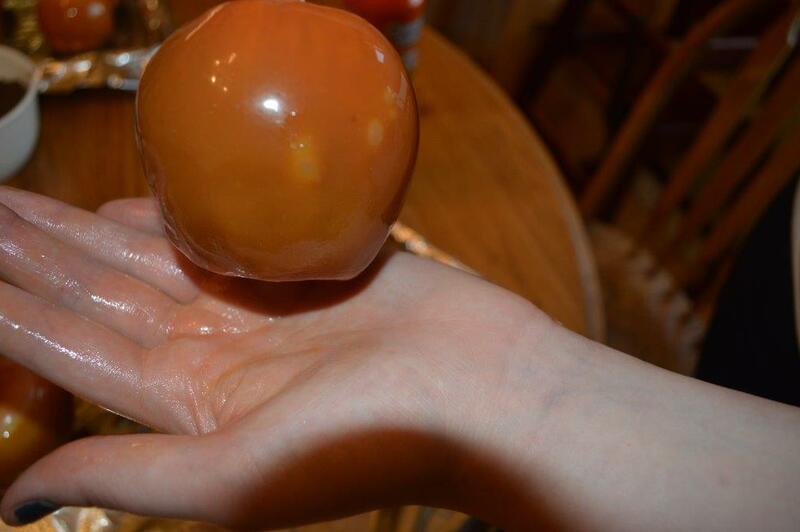 Twirl the apple, turning upside down to allow the caramel to distribute evenly and coat evenly. 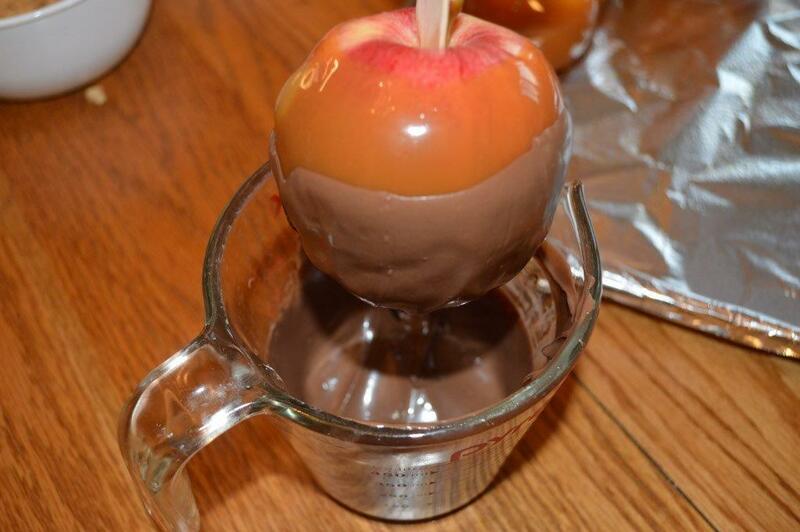 If you want to dip your apple in coatings now, instead of dipping in melted chocolate, this is the time to do it. 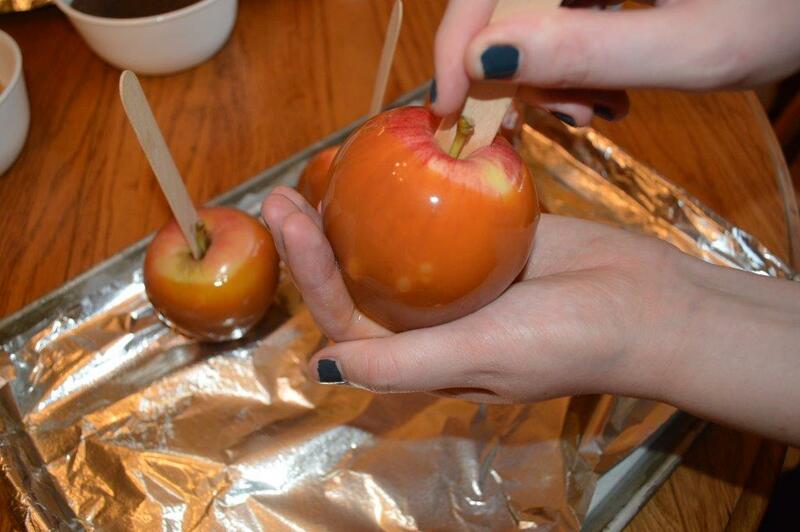 Coat all the apples in caramel and place them in the refrigerator to chill and set up while melting the chocolate. 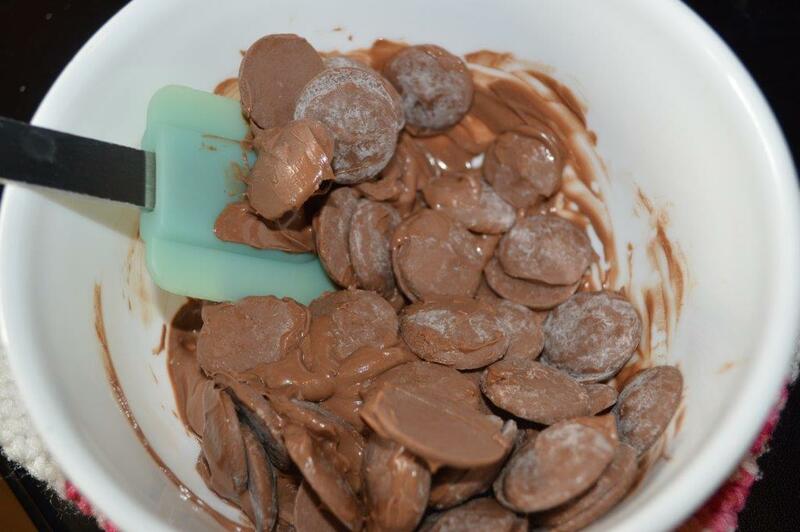 To melt the chocolate, whether using chips or buttons, place in a microwavable bowl and microwave for 30 seconds. Microwave again for 20 seconds, stir and continue this process until the chocolate is melted and smooth. Be careful to cook in small intervals and stirring to prevent burning chocolate. Take the apples out of the fridge. BIG TRICK AND IMPORTANT! 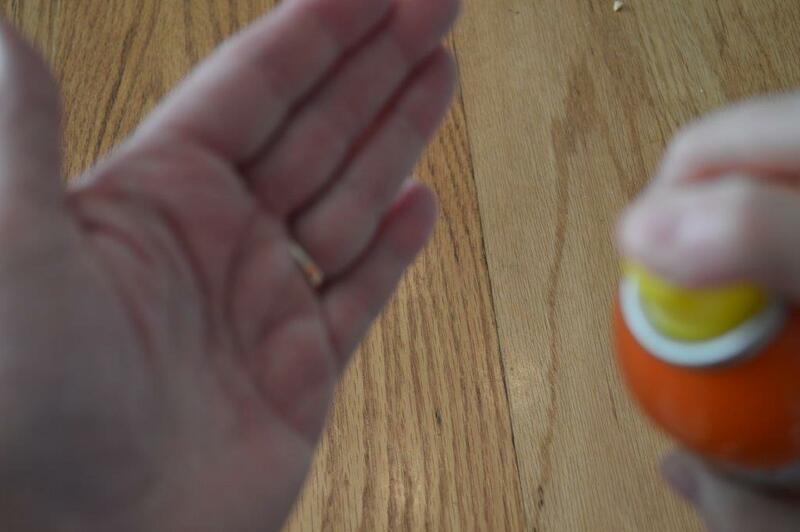 Spray your hand with cooking spray. Mold the caramel back up onto the apple smoothing as needed. After molding any caramel that needs to be, now dip the caramel apple into the white/ dark or milk chocolate (you want the chocolate warm, but not hot so it can coat and set up). You can coat the caramel covered apple completely in chocolate, or just the bottom part, or whatever your heart desires. 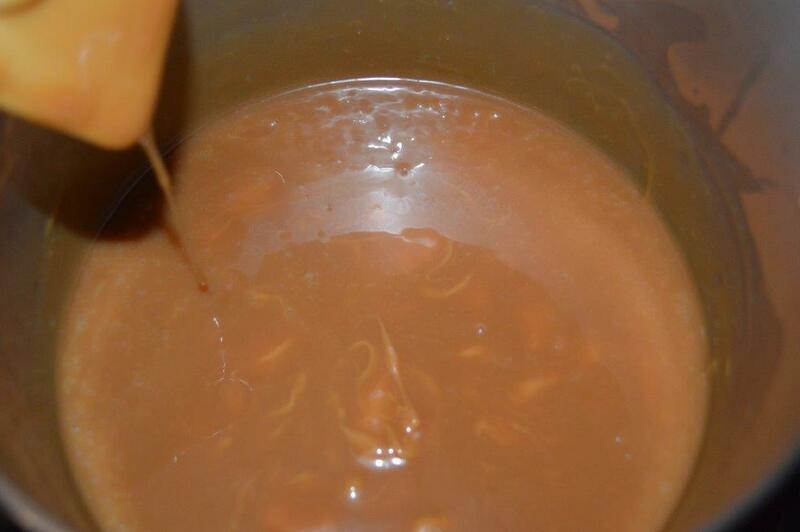 Dip into any of the coatings you choose; as above when just coated with caramel. 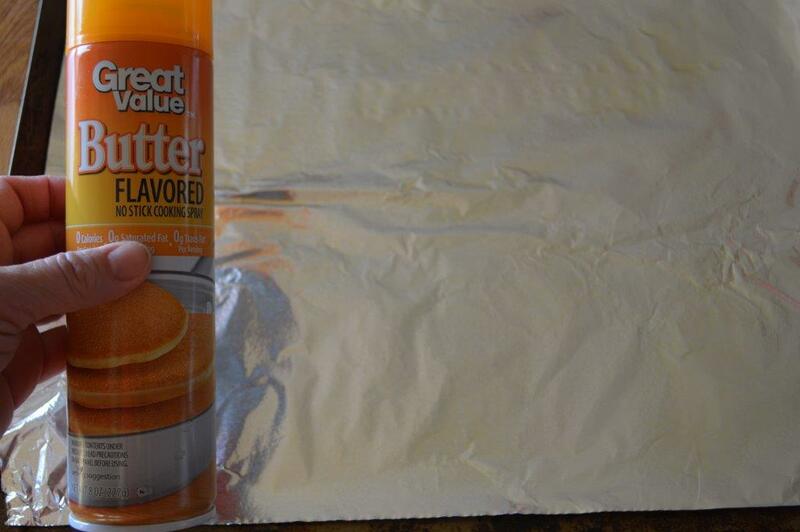 Set the apples back onto the sprayed tin foil to help it setup while you finish all the apples. With any excess chocolate (melt more if needed) have at just warm enough temperature to be smooth and creamy, but not so warm it will not stay on the apple when piped. 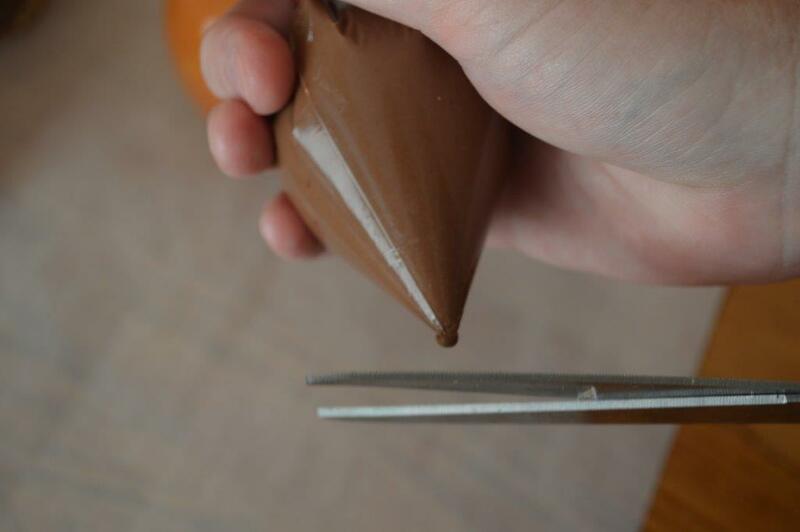 Spoon the chocolate into a small ziplock baggie and cut the very tip off at the corner. 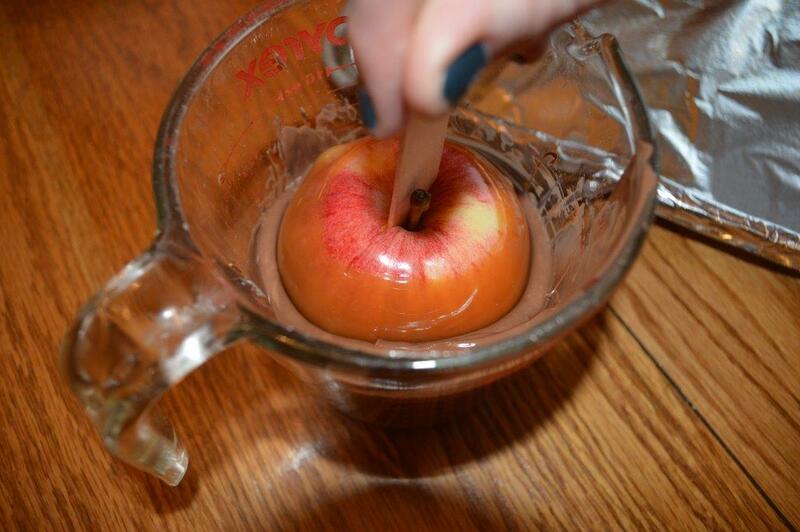 Now you can easily pipe the chocolate onto the top of the apples. Place these apples into the fridge for at least 20 minutes, and keep for up to 3 days.